Government has allowed Islamic extremism to grow, he says. 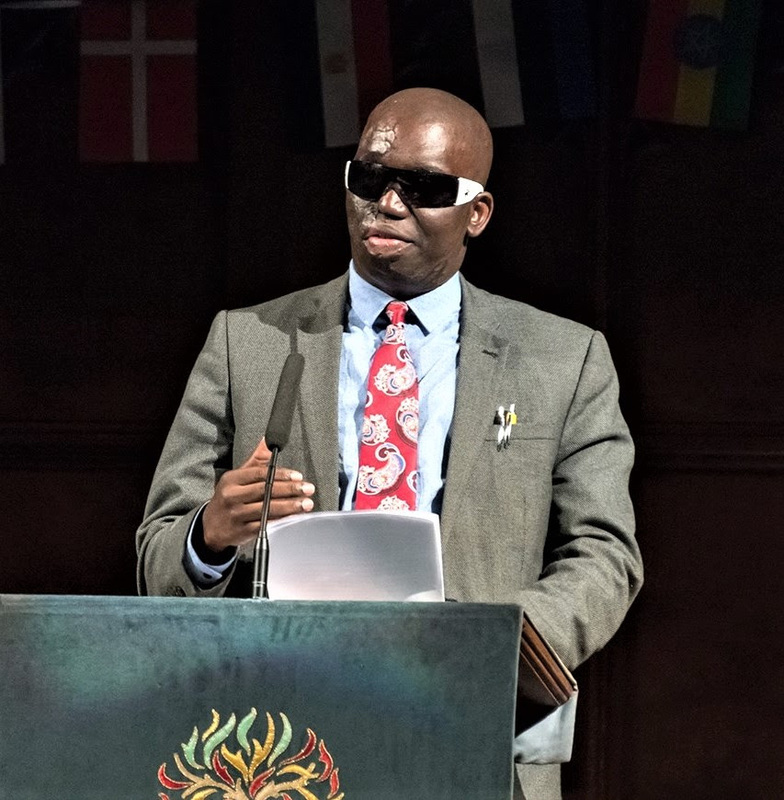 NAIROBI, Kenya, October 25, 2018 (Morning Star News) – Pastor Umar Mulinde, a highly effective evangelist in Uganda who survived a horrific acid attack in 2011, said he recently escaped another attempted assault by Islamic extremists. Following a one-week evangelistic event in Mubende, Pastor Mulinde on Sept. 25 was driving the 90 miles back to the Ugandan capital of Kampala when a band of men blocked a road. He told Morning Star News he managed to maneuver around them. They followed him to his home in such a way that he did not detect them, he said, and broke in later that night. He and other family members slipped out the back door, he said. “We narrowly survived – I only lost a number of my personal household goods and office items such as laptops, iPads and phones, but precious life remained intact,” Pastor Mulinde said. The former Islamic sheikh (teacher) and grandson of a well-known imam said he believes the intruders intended to kill him following the campaign in which hundreds of people put their faith in Christ. Police have yet to find the intruders, Pastor Mulinde said. “What I know is that these attacks are connected to religious extremism and are protected by corrupt leaders paid off by the Muslim community,” he said. That he is still ministering at all is a miracle, he said, as he was incapacitated after Muslim extremists threw acid on him on Dec. 24, 2011. He had come out of his church building in Namasuba, about 30 miles outside of Kampala, when a few men called out to him. The acid continued to eat at his flesh even during initial treatment, and he was in constant, severe pain, though surgeons miraculously saved his sight and hearing in 2014. The evangelist who began Gospel Life Church International and led thousands of people to Christ lost much of the past seven years in recovery, receiving specialized treatment in Israel. Today his Gospel Life Church International has more than 1,000 members, of which 35 percent are former Muslims, according to the church website. Police have yet to find those who attacked him on Christmas Eve 2011, the married father of six said. “What is more frightening is that even the file of that attempted murder case is alleged to have been stolen from police – a big shock,” Pastor Mulinde told Morning Star News. He suspects an illegal network within key positions has planted agents who are making sure that witnesses will be silenced so that the perpetrators will never be arrested. The pastor said Islamic extremism has been increasing in Uganda over the last 20 years. Had police taken his case seriously, he said, other attacks that followed might have been averted. The same ones who threw acid on him later sent letters threatening more violence against others, and police were presented with those letters, he said. He and other church leaders on April 19, 2011 had presented a petition for assistance to the prior speaker of Parliament and to the State Minister of Internal Affairs, to no avail. Even before he was attacked at the end of 2011, suspected Islamic extremists in 2009 detonated a bomb at a prayer meeting led by Joseph Sserwadda, head of the Apostle of the Born-Again Faith and Victory Christian Church, in the Bwaise area of Kampala. Sserwadda was unhurt, but three others died and 20 were injured. That same year, a knife-wielding man tried to cut off the head of evangelist Abas Luyombya in Old Tax Park, in the heart of Kampala. Luyombya escaped with a wound in his palm. Since Pastor Mulinde was attacked at the end of 2011, others have been killed or attacked in unusual ways, he said. Pastor Jamada Kikomeko of Nateete Victory Church barely survived gunmen’s assassination attempt in 2010. Pastor Semakula Hakim, who now lives in London, on one of his visits to Uganda in 2012 was nearly killed by assailants with knives and gasoline who intended to kill him and burn his remains. In addition, he said, gunmen on May 17, 2010 ambushed pastor Zachariah Sserwadda of Evangel Churches, in Jinja, at Mbiko on the Jinja Highway, spraying his car with bullets from different directions; gunmen just across from a police station applied chloroform to Hassan Ndyasasirwa, a Christian convert from Islam in Katwe, tied him into a sack and threw him into a ditch in 2013; earlier this year 27-year-old Gobera Bashir suffered serious burns on nearly half his body on March 10, less than a week after he attended church with a friend and converted to Christianity, after relatives threw hot cooking oil on him. In all these cases, police made no arrests, Pastor Mulinde said. Pastor Mulinde said he prays that people in government will act swiftly against Islamic extremism in Uganda, where Muslims make up only 12 percent of the population. Morning Star News has chronicled many cases of Islamist aggression against Christians in the past six years, mainly in the eastern part of the country. Most of them occurred at the societal level in rural areas, with ordinary Muslims believing they have a religious mandate to punish those who leave Islam for Christianity. One recent victim of such violence is Naula Sharifa, a 32-year-old mother of two whose husband beat her and threw her out of their home, accusing her of blaspheming Islam because she put her faith in Christ, sources said. A resident of Nangeye village, Naboa parish, Naboa Sub-County in Budaka District, Sharifa converted to Christianity after receiving healing at a secret worship service in July. Her husband, Iddi Dewule, left her with head injuries after beating her and kicking her out of their home on July 7, sources told Morning Star News. After neighbors intervened in the beating and rescued her, she took refuge with a friend in Butaleja District. With no income, she and her two children are in a desperate state of health, sources said.